It’s not enough for agencies to put out awesome work for their clients anymore. They need to showcase their creative kudos through their own branding, too. And it all starts with the website, the digital window into an agency’s creative soul. These shops have mastered the art of savvy self-promotion with original and memorable websites we can’t get enough of. Whenever NYC design studio Sagmeister & Walsh puts out something for public consumption, it never fails to make an impact (remember these shots of staff members in their birthday suits that put them on the map?). The agency’s own 2016 website redesign stayed true to that tradition, featuring two angles of 24/7 live feed video from the studio… including one from inside its on-site snake enclosure. Seriously. This “small but good creative studio” likes to do things differently. Case in point? 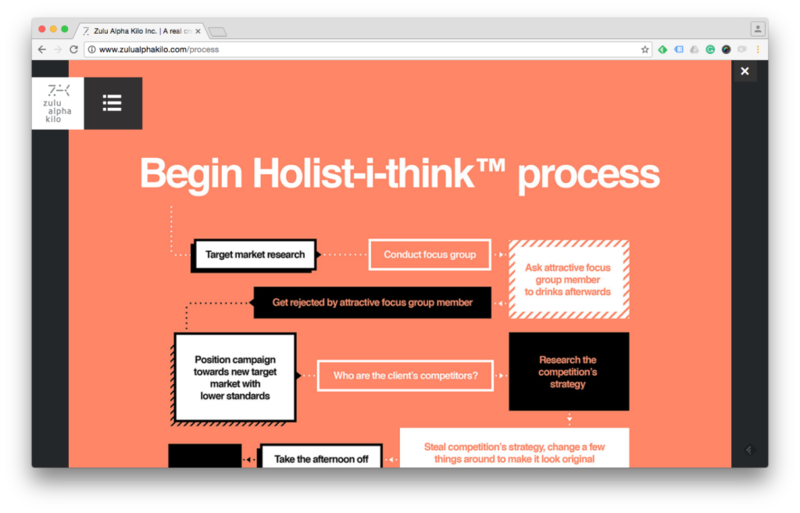 Their own compellingly chaotic website, which looks more like a cluttered desktop or Post-It brainstorm board than an agency site. Sticking a middle finger up to the rules on how a traditional website should look and function, it’s hard to navigate but somehow not annoying, infused with just enough fun and charm to make you want to learn more. This Toronto-based shop was the brains behind the viral Say No to Spec video, which called out agencies working for free during pitches. No surprise, then, that they launched a website this year that is actually a parody of the worst agency website clichés, complete with fake work, fictional awards and cringe-worthy founder bios. The only giveaway is a lawyer’s note where the agency admits the hoax. We dare you not to lol. North Carolina-based BooneOakley made history in 2009 when it became the first agency ever to host its entire website on YouTube. Instead of penning a traditional agency manifesto, they decided to show people what they’re all about with a series of animated stories, showcasing their work and personality in a dynamic new way that had us all asking, why does a website have to be a website anyway? Like it or not, people judge books by their covers. 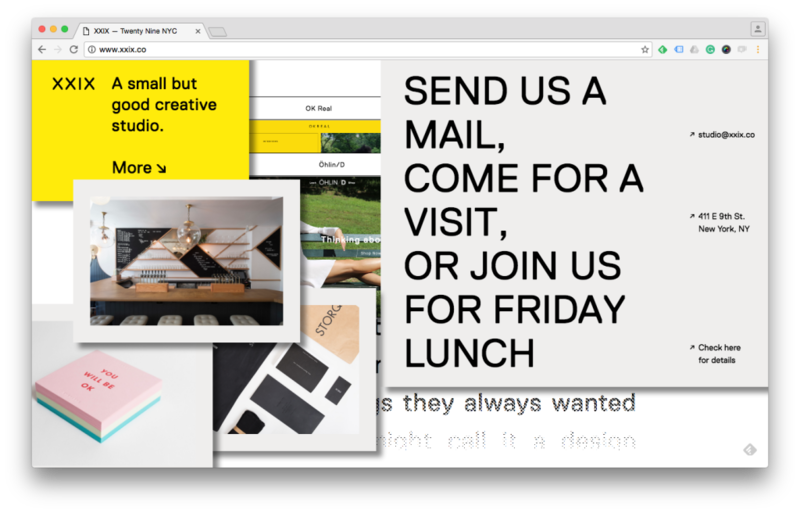 Luckily these creative, off-the-wall websites make for a pretty compelling read.